A group of more than 2,000 scientists from 67 countries is urging Arctic rim nations to halt commercial fishing in the Arctic Ocean until further assessment, claiming there is not yet enough information available to determine the sustainability of fishing in these newly exposed areas of water. In the open letter addressed to Denmark, Russia, Canada, Norway, and the United States, the scientists noted “a commercial fishery in the central Arctic Ocean is now possible and feasible,” but there is not enough information available about “the presence, abundance, structure, movements, and health of fish stocks and the role they play in the broader ecosystem”. 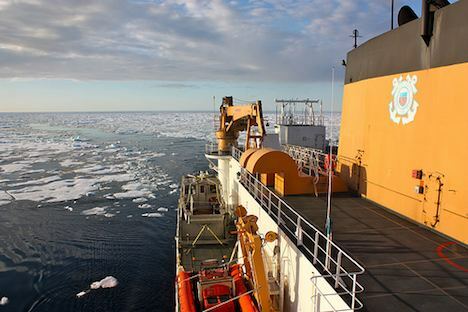 The polar ice cap that has been the main barrier to fishing in the central Arctic Ocean is diminishing, and as much as 40% of the ocean is now open water in the warmer months. This number has increased significantly since 2007, and in 2009 the United States closed its Arctic waters to commercial fishing, allowing scientists to assess the environment. Canada is also creating a fishing policy for the Beaufort Sea. Here is yet another indication that climate change is making its effects felt, and is going to continue unabated unless we make rapid changes and adapt policies in the interests of the environment.